Are you using elcomCMS as your web site content management system? If so we can help you with your search engine optimisation and online search engine marketing. We work closely with Elcom, and Elcom customers, to help them with their digital marketing strategies and implementation. XEN is an Elcom Partner. As an elcomCMS partner, we are fortunate to have direct links to the product planning and development team. Our founder is a former Technical Director of Elcom, and we currently work closely with the company on a number of projects. The first part of any project is to ensure that the site strategy is understood. This can be simple (eg understanding key conversion goals to be configured in Google Analytics) through to comprehensive (eg a complete online and digital strategy review). Regardless of the simplicity (or complexity) that is required, it’s important to discuss and have shared agreement on the approach. Learn more about the XEN integrated strategy approach. We’ll help you set up Google Analytics, including inserting the script into the elcomCMS master pages and footers and ensuring it is tracking correctly. We also set up your conversion goals, customer variables and even AdWords remarketing tags if you are using Google AdWords paid advertising. Learn more about Google Analytics implementation. Once Google Analytics is all set up and running we work with you to provide the right mix of reporting for your business or department. We’ll configure the reports and train you where required. Learn more about reporting options. elcomCMS is one of the best content management systems on the market today in terms of SEO functionality for large businesses and enterprises. However the breadth of options can be overwhelming at first. We work with companies to ensure their sites are optimised for Google rankings using the right mix of elcomCMS features. As part of SEO engagements we also train your staff and provide regular updates on improvements, as well as new features to use in elcomCMS releases. Learn more about SEO services. Sometimes, it’s worth taking a step back and checking that your site is optimised as well as possible. An SEO Audit will review the entire site content and optimisation, and provide you with a comprehensive outline of what’s working, what’s not and how to improve. Typically SEO Audit reports are between 40 to 100 pages depending on the complexity of the site, as well as the channels that are used (eg paid and social as well as organic). Learn more about SEO Audits. Google AdWords is a key part of most business’s online strategy these days. Having well managed and optimised AdWords campaigns will save you money, increase the quality of your traffic and improve conversion rates. We work closely with many elcomCMS companies to ensure their landing pages are optimised within elcomCMS and work optimally with paid advertising campaigns. Learn more about search engine marketing (SEM) services. Integrating elcomCMS with marketing automation platforms such as HubSpot provides enormous benefits for mid-large companies and government departments. 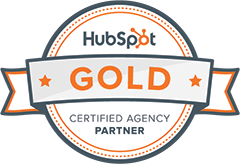 We help you with the planning, implementation, internal training and on-going management of your HubSpot portal, ensuring it is tightly integrated with elcomCMS. Social Media is increasingly important as a channel for all types of business and Government departments. Facebook, LinkedIn, Twitter, Instagram and Google+ are key channels to integrate into your marketing, but require careful consideration in order to match them to your audience appropriately. We’re helping advise on and manage the social channels for numerous companies and departments (both large and small) in Australia. Learn more about Social media management services. Link building is key to improving Google rankings. Regular, on-going, quality link building is required in order to keep sites ranking well. We have a team of talented writers that work with you on content strategy, marketing and promotion, as well as facilitating the link building activities via outreach and relationship building with relevant sites.